With his fabulous restaurants and bestselling Ottolenghi Cookbook, Yotam Ottolenghi has established himself as one of the most exciting talents in the world of cookery and food writing. This exclusive collection of vegetarian recipes is drawn from his column 'The New Vegetarian' for the Guardian's Weekend magazine, and features both brand-new recipes and dishes first devised for that column. Yotam's food inspiration comes from his strong Mediterranean background and his unapologetic love of ingredients. Not a vegetarian himself, his approach to vegetable dishes is wholly original and innovative, based on strong flavours and stunning, fresh combinations. With sections devoted to cooking greens, aubergines, brassicas, rice and cereals, pasta and couscous, pulses, roots, squashes, onions, fruit, mushrooms and tomatoes, the breadth of colours, tastes and textures is extraordinary. Featuring vibrant, evocative food photography from acclaimed photographer Jonathan Lovekin, and with Yotam's voice and personality shining through, Plenty is a must-have for meat-eaters and vegetarians alike. 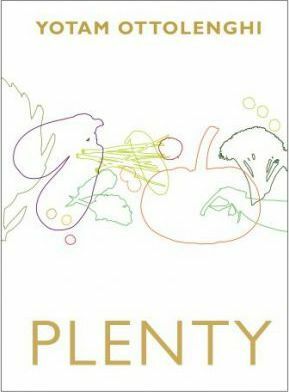 "Plenty takes an inspired and fresh approach to vegetarian cooking. Sumptuous photographs make this an ideal gift for all foodies."